Why Do I Need My Auto Detailed? Your automobile probably spends most of the time outdoors. As a result, your car is exposed to sunlight and other environmental hazards including the sun, dirt, smog and acid rain, that over time will deteriorate your auto's paint finish. Dirt and grime rubbed in while washing and drying can also cause fine scratches that will eventually dull your autos surface. Detailing your auto will restore your cars finish by removing the imperfections in the paint followed by applying a quality carnauba wax that will restore your paints gloss and depth. A good coat of wax will also protect your cars surface from the elements, including sunlight, bugs and bird droppings. Bring your old car back to showroom condition with our hand wash and wax services from Unique's Auto Care LLC in Sanford, Florida. We hand wash,vacuum and utilize the Two-Bucket wash method for your car to prevent any scratches. Prices vary based on the size of the vehicle and condition. Times may also vary depending on services performed. Our team Hand washes with PH Balanced citrus soap, dries with waffle weave towel, blow dries cracks & crevices, and waxes your vehicle. To give your car the best possible look, we hand wash your car using the two-bucket wash method, clay bar/nano scrub to prepare the vehicles paint to remove embedded contamination that still remains after a maintenance wash so that your paint will be as smooth as glass. We also apply carnauba wax by machine before removing it by hand. Not only do we wash the exterior of your car, we also clean your interior such as: door & trunk jambs, windows,mirrors & more. 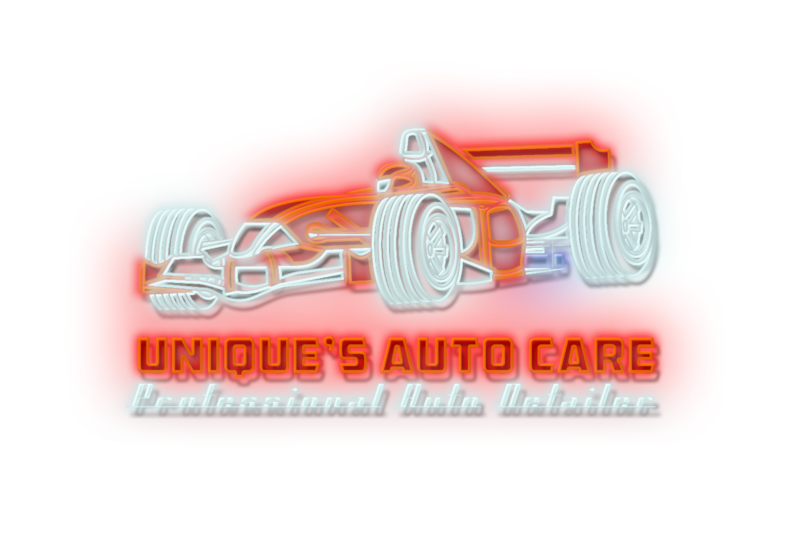 Unique's auto care maintenance package is the most time, energy and money efficient way for anyone in Sanford Florida to keep there car looking its very best. Each maintenance package ensures the proper care of not just the paint of your car but also of the trim, wheels, interior and leather. We do this by using the very best chemicals & supplies available in the auto detailing industry today. The most important key is the wax/paint sealant and the leather conditioning. These three items on any car protects the most susceptible services to wear from any kind of damage and are included in the maintenance package as apposed to adding a significant expense to each detail. Your auto interior is first air purged and vacuumed to remove dust and dirt as well as other debris from your car interior including floor boards and hard to reach cracks and crevices. Leather and vinyl parts along with trim are treated and detailed so they look like new. The dashboard, door panel, consoles, pockets, gages are given special attention. we also spot treat interior, upholstery & carpet and shampoo by hand and deep clean with heated extractor to remove stale odors, grime and along with ground-in dirt. Your vehicle is washed utilizing a two bucket wash method to prevent scratches when washing. We prepare the vehicles paint by using clay bar that will remove embedded contamination that still remains after a maintenance wash so that your paint will be as smooth as glass. This will ensure that the wax adheres to the clean, prepped paint. Ozone Deodorization & sanitizing of interior &a/c ducts using a commercial UV ozone generator. UV ozone machine doesn't produce harmful toxicgases & burned smells associated with cheaperOzone generators. Leaves nothing Behind but clean fresh air.